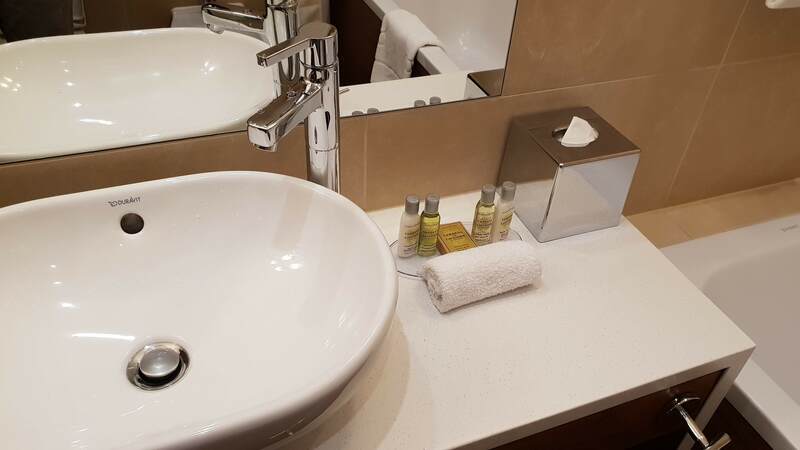 Whilst there isn't a right answer it looks like the soap is intended to go on the plastic tray and the shampoo/conditioner bottles to be taken off the try and onto the surface around the sink. The only reason I would do that is not to have slippery soap on the whole surface andake it slipper but just keep it on the plastic tray. Anyway that's my opinion but it's totally up to you!